CAD is the use of computer technology for design of documentation. CAD/CAM applications are used to both design a product and program manufacturing processes. No more messy plaster of paris casting; Greg Robinson utilises the latest generation of 3D digital foot scanning and CAD/ CAM orthotic manufacture. 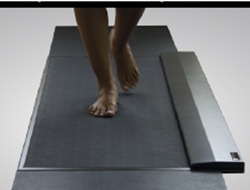 Patients are accessed via state of the art force-plate gait analysis equipment. foot as well as the parameters of gait such as step length, step time, step velocity etc. This provides invaluable data as it can highlight asymmetries in gait that are very difficult to see with conventional gait analysis, thus allowing for the biomechanical pathology diagnostic process. Pressure plate analysis provides an efficient and accurate way to assess gait analysis, foot pressure points and athletic plantar impacts during standing, walking, running, etc..
Real-time pressure profiling enables precise and immediate evaluations of conditions related to the diabetic foot, analysis of the weight bearing capability and conformability of orthotic and prosthetic devices. Gait analysis is undertaken to assess the way in which you walk, run and move. Slow motion video gait analysis is the 'gold standard' in the biomechanical assessment of the feet, posture, and related symptoms. Motion related pathologies of the foot, ankle, knee, hip and lower back are examined through the stages of the human gait cycle. This helps to identify any possible pathological (injury inducing) loading patterns. 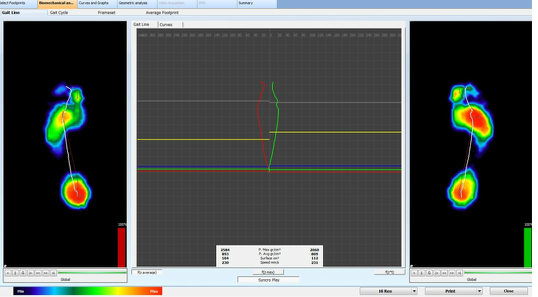 The analysis is combined with static weight bearing and non weight bearing assessment data to create a picture of your function. The latest state of the art equipment is used to gain as much information as possible. Greg Robinson incorporates the use of advanced forms of video gait analysis to evaluate and analyse the biomechanics of the feet and legs as you walk or run on a treadmill. Slow motion video gait analysis allows for abnormal movements of the body's muscles and joints to be easily detected and subsequently corrected, thus eliminating chronic aches and pains and allowing for a more ‘normal’ functioning body. conditions that are termed ‘overuse’. Gait analysis is a technique that investigates how one stands and walks. A detailed analysis of the way an individual stands and walks can reveal the source of muscle, nerve, or skeletal problems. Gait analysis is a descriptive tool that can help to better understand how each of these systems contributes to the way one stands and walks. Finding problems in gait can be the key to identifying the cause of pain in the feet, ankles, legs, knees, hips, back, or neck. 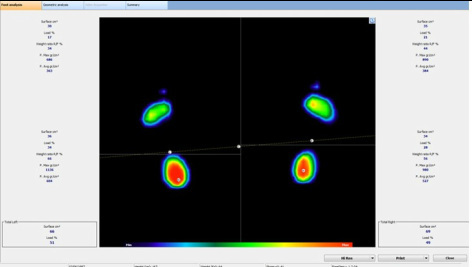 Gait analysis can help determine underlying problems such as bone deformities, movement restrictions, muscle weakness, nerve dysfunction, skeletal or joint misalignments, complications from spasticity or contracture, and complications from arthritis. Why is Gait Analysis Beneficial? 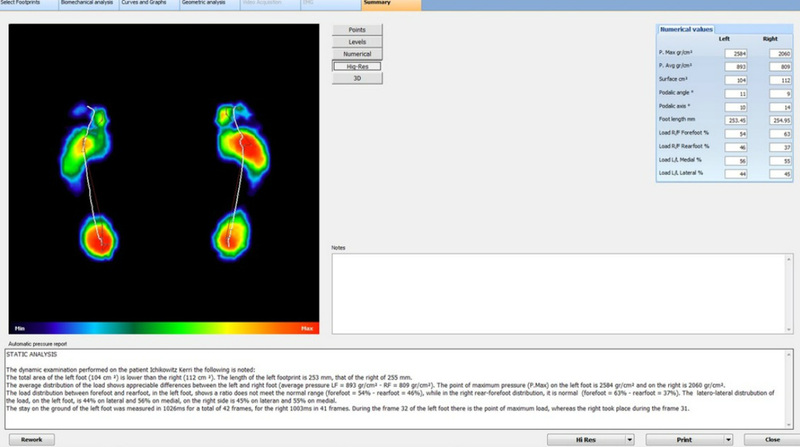 Gait analysis offers a unique perspective as it is done while you stand and walk. The illustrations below are a brief example of static and dynamic pressures. The red indicates the areas of maximum pressures.